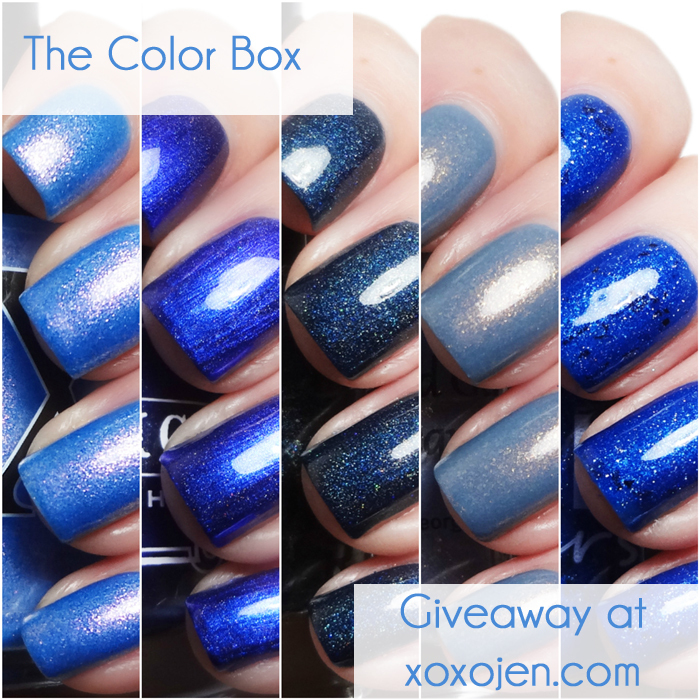 The Color Box is a blogger and brand collaborative box lead by Julie from Blue-Eyed Girl, Manna from Manna's Manis and I. The idea was to have a single color themed box of custom blogger designed polishes. In each box we invite both new and well-known brands and bloggers. The fans vote for the color, and the box is a pre-order only launch that lasts a full week. Each brand also has the option of listing their polish in their own shop after the box has been shipped. This month's box color is Blue! Pre-order is March 10th - March 17th. 20 boxes will be available for purchase at the Indie Shop event in Atlanta Georgia on March 11th. If you're going, I'll see you there! 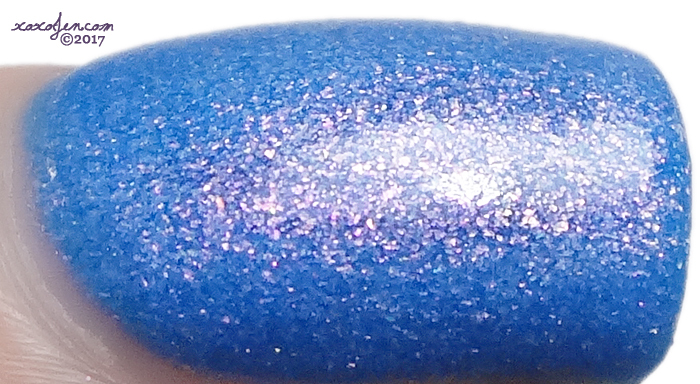 To match the upcoming season, I chose a bright summer sky blue base packed with shimmer and pink to peach to gold shifting glass fleck with a dusting of holo. Demi did a stellar job matching the polish to my inspiration photos and description, don't you think? The hidden holo comes out in bright sunny outdoor lighting. I wore two easy coats and topcoat for a glossy shine. Formula was fantastic, and packaging is amazing. The skinny round bottle is easy to store, the skinny flat brush allows for ease of control while polishing and the cap adorned with a painted cabochon really magnifies and shows off the detail of the polish. 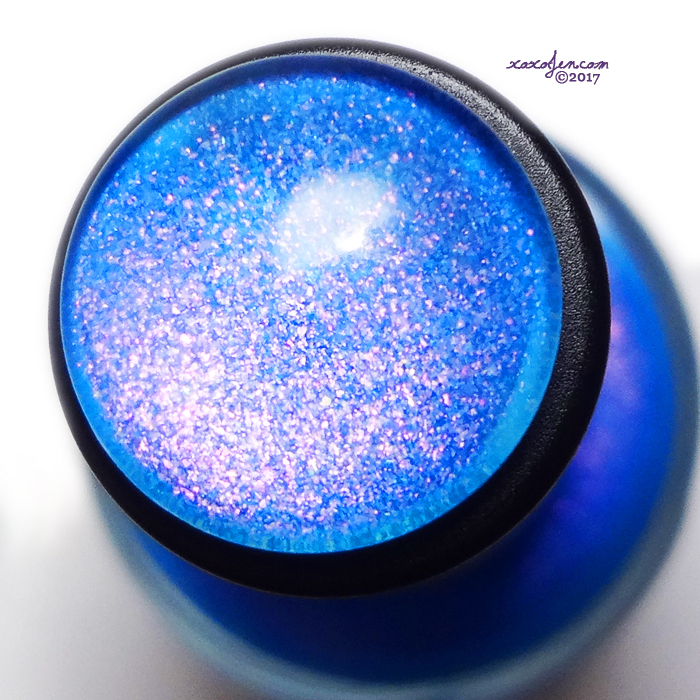 A cobalt blue duochrome that shifts to purple with a fine linear holographic finish. I wore two coats with topcoat, formula was good. 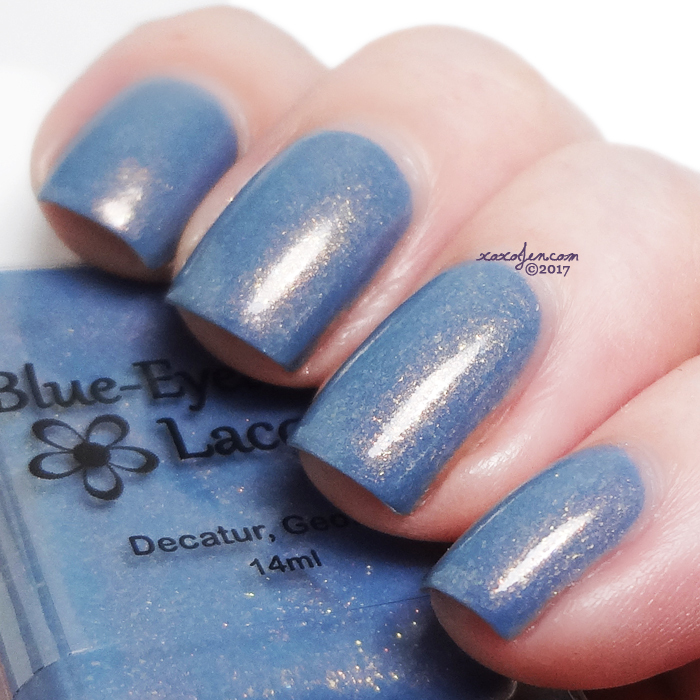 This polish has a metallic-y finish and the subtle holo is more apparent in bright sunlight. 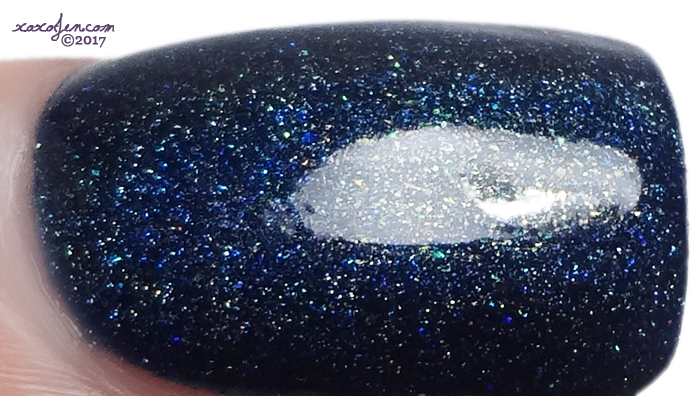 A dark navy with holo copper microglitter, metallic copper microglitter, spectraflair and holo clear microglitter. What a stunner! Flashes of holo and coppery shimmer everywhere, formula was buttery and fantastic. I wore two coats with topcoat. 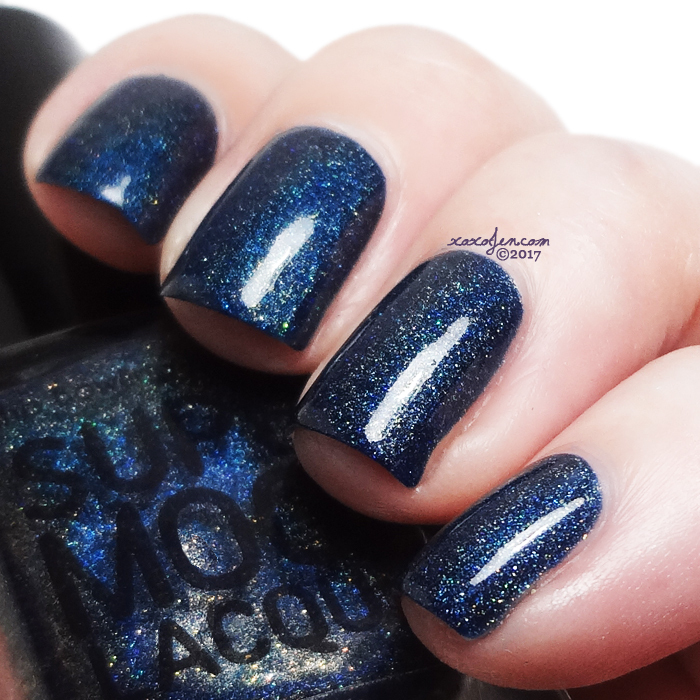 A deep blue base with blue micro flakies, holo flakies, holo and a hint of black shreds. Great formula and such a shimmery, sparkly shade! I wore two coats with topcoat. A faded denim with copper fine and medium shimmers and gold microflakies. Formula was good, and just look at the flakies in this! I wore two coats with topcoat. I was able to wear this polish for several days, long enough to notice nail growth (5ish days?) and there was no chipping! I hope you've enjoyed the review! Do you have a favorite shade? Maybe it'll be next! Be sure to join the facebook group to cast your vote for the next Color Box color. The giveaway was made possible by The Color Box brands, entry is available at various bloggers' websites. 4. You will have 48 hours to respond to email to claim your prize. After 48 hours another winner will be chosen. 5. The Color Box hold no responsibility once the package has been dropped off at the post office. 6. The only required entry is your email address, all others will then be unlocked and are optional. 8. Giveaway runs from March 5th until 11:59 pm EDT March 10th. I love blues but I have a soft spot for BEG, so Niagara Sunrise is definitely my fave of the bunch. Another gorgeous box! It's a beauty! They all are, I think choosing a fave is so difficult! I'm addicted to blues. That baroness x and tonic are to die for! 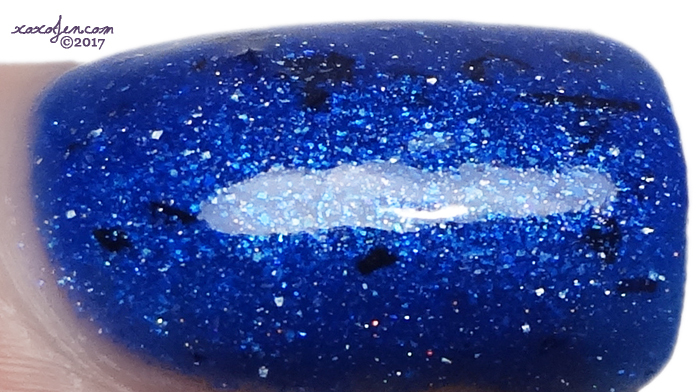 Oh, and my fav blue ever is painted polish buzzed on blue. :D Glad you love them! surely unknown, whoever you are! and Kristi, that one might be a fave of mine too! I love them all but am partial to dark colors so I choose Supermoon. You ladies did a gorgeous job on every one of these! As usual, the box is magic! Generally my favorite blues are the dark, vibrant ones! My favorite mainstream blue is Sally Hansen Pacific Blue (the original version), but my favorite indie is, hands down, Baroness X Vulcan Blood. 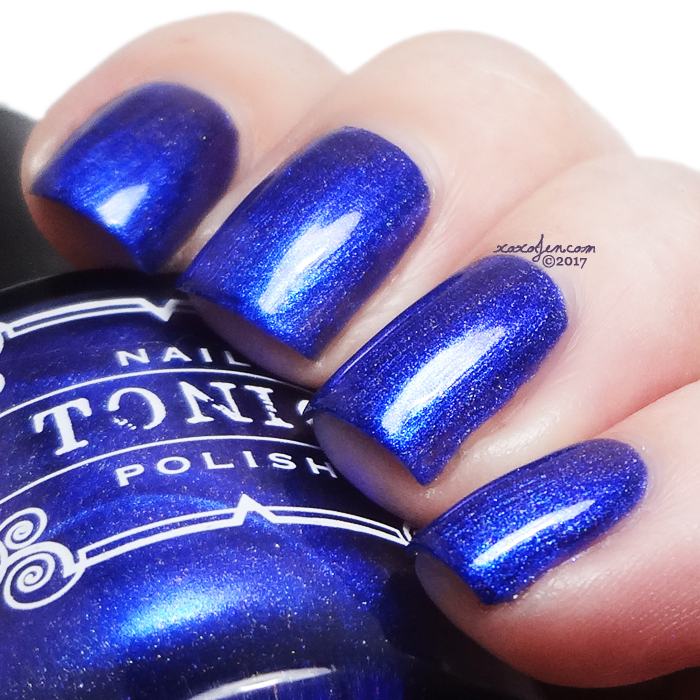 It's the perfect shade of blue - not too dark or too light, and the fact that it's a jelly means that it's super versatile. Oh man, Love that SH! I remember the frenzy of people trying to find the original before all stores were sold out. I'll have to check out that BX polish, it sounds awesome! The blues are absolutely gorgeous!! It's hard to pick a favorite but I think I would say Supermoon!! Thank you for the awesome giveaway!! And when I posted the link in twitter it was the wrong thing so is the correct link for posting. Thanks for letting us know about the link! Also, you picked a good one! Such sparkle! 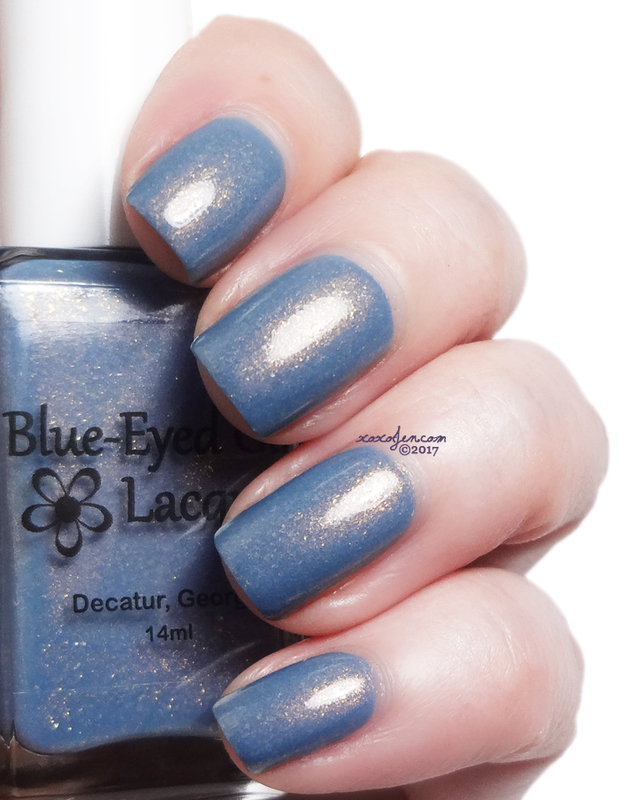 My favorite blue is Enchanted Polish May 2015. Some of the blues from this box may takes its place though! The Tonic and Supermoon colors appeal to me most.